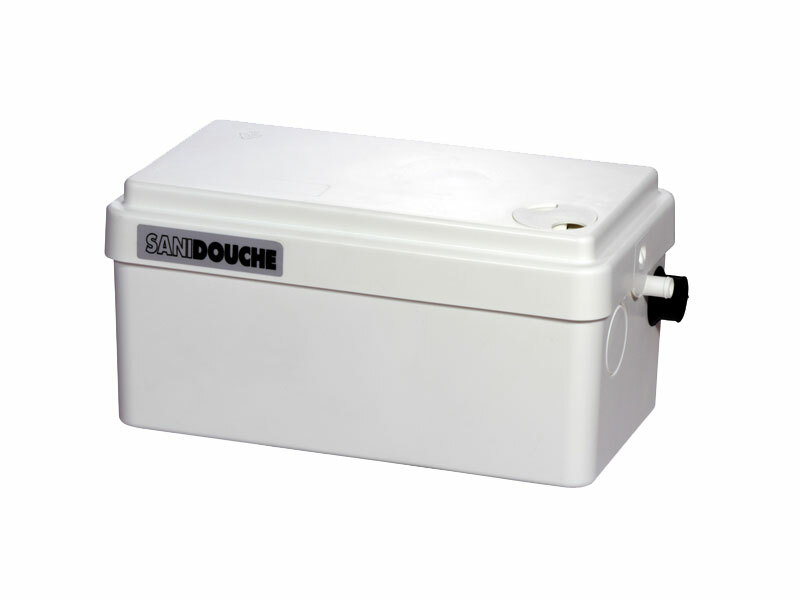 The Sanishower is a small drain pump that may be used to pump waste water away from a shower, sink, bar sink, or other fixture. 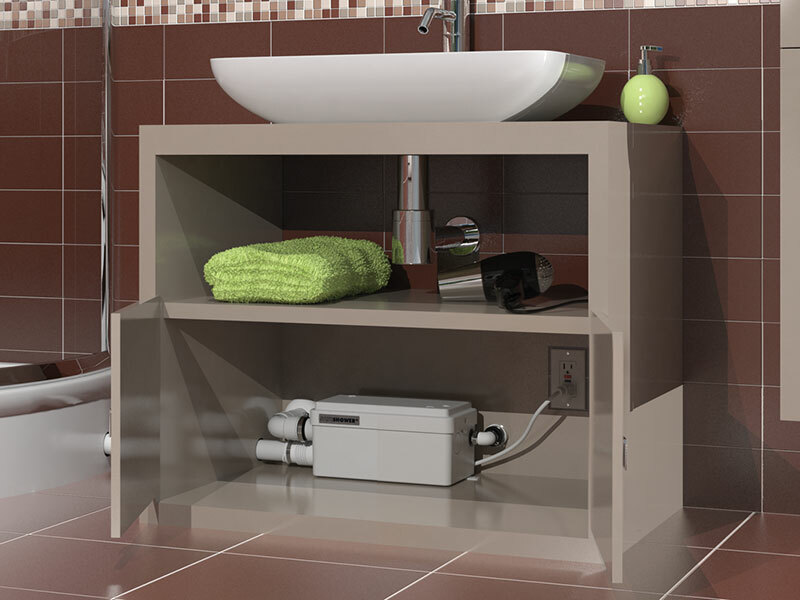 The Sanishower is small enough to fit underneath a raised shower base. Alternatively, it can be placed behind a wall or beside a shower.The Sanishower will pump wastewater up to 12 feet in height and/or 100 feet away from a soil stack. The inside of the Sanishower is comprised of a pressure chamber, which starts and stops the unit, and the motor, which drives the pump. When the water enters the Sanishower, it activates a micro switch in the pressure chamber, which in turn starts the motor. The motor is sealed for life in an oil filled enclosure. A spindle/shaft drives the impeller and therefore the moving parts are kept to an absolute minimum. Water enters the chamber and is pumped away into the sanitary sewer. This unit has been designed with a vent output on the side of the unit. All plumbing codes require connection to a vent system. Please note that the vent system should be a two-way air vent. It is also highly recommended for the grey water pump to be connected to a Ground Fault Interrupter (GFI) circuit. The Sanishower along with all of our Saniflo Systems and Kinedo Showers and Bath Solutions can be bought online with the reassurance of dealing with Ireland’s sole official Saniflo and Kinedo agent.